The Oakland Raiders made headlines once again with reports of them shopping multiple players. 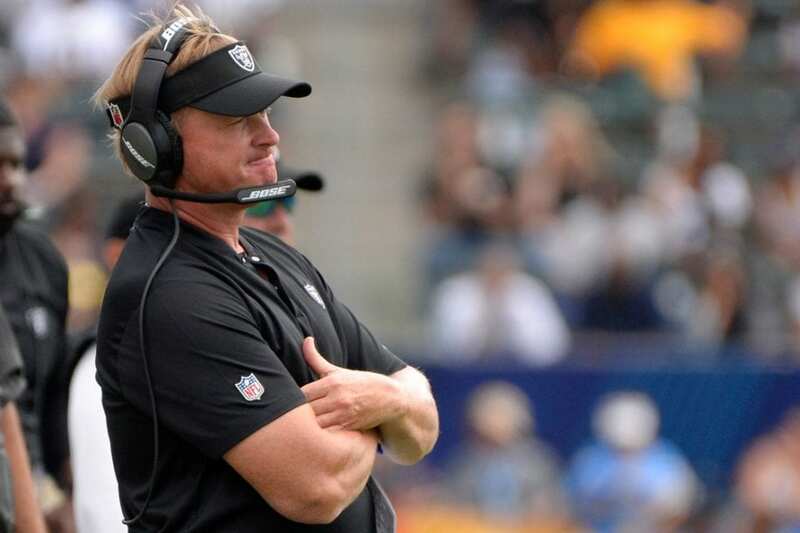 As a result, head coach Jon Gruden has had to downplay any notion of the team tanking. There is no question Gruden is attempting to do what he can to put the Raiders in a position to succeed. However, his actions in the 2018 NFL season have suggested otherwise. He kicked off his first year as head coach by trading Khalil Mack to the Chicago Bears. That decision has since backfired on them drastically as the Raiders boast arguably the worst pass-rush in the league. Meanwhile, Mack has put in an early bid for his second Defensive Player of the Year award with a dominant showing through the first six games. Gruden has now followed up the rough start to the year by trading Amari Cooper to the Dallas Cowboys. Gruden himself seemed intent on making the star wideout a major part of the offense early on, however, it is clear that much has changed since then. Gruden may be doing what he can to dispel any notion of them tanking. Unfortunately, his desire to trade away Mack and Cooper suggests otherwise.